The ideal candidate will be a citizen of an African country, has strong biotechnology credentials, worked in and for Africa, be a credible and influential leader and have extensive networks throughout the African continent. S/he will have excellent research management and capacity building skills and a track record of securing large scale funding for capacity building and research. The BecA-ILRI Hub is an initiative developed by ILRI and the New Partnership for Africa’s Development (NEPAD) of the African Union (AU) and supported financially by a group of key international donors. The BecA-ILRI Hub’s mission is to mobilize science for Africa’s agricultural development by supporting research conducted by scientists in Africa for Africa, and empowering African institutions to harness biotechnology innovation for national and regional impact. The mission of the BecA-ILRI Hub is supported by ILRI and other CGIAR Centers (IITA, CIP, IRRI, CIMMYT) undertaking research and capacity development at the Hub. Facilities available at the BecA-ILRI Hub are world class, including a range of molecular, plant transformation, and genomics laboratories and equipment (next generation sequencing, biosafety level 3 laboratories and plant transformation facilities). The Hub hosts and, through its national and international partners, conducts research on crop, microbe and livestock — areas where new developments in biotechnology offer opportunities to address problems constraining Africa’s agricultural development. Capacity building is a major goal of all activities and at any given there are about 100 research fellows (senior scientists, and MSc and PhD candidates) embedded at the Hub. The BecA-ILRI Hub’s activities mainly cover countries in eastern and central Africa (Burundi, Cameroon, Central Africa Republic, Democratic Republic of Congo, Equatorial Guinea, Eritrea, Ethiopia, Gabon, Kenya, Madagascar, Rwanda, Republic of Congo, São Tome and Principe, Somalia, South Sudan, Sudan, Tanzania and Uganda) and are extending to other sub-regions in Africa. The Director will ensure that the BecA-ILRI hub remains relevant and positioned to contribute to Africa’s agriculture development through advanced biotechnology research and capacity development. S/he will lead continuous updating of the business plan and be responsible for its execution. The incumbent will also ensure efficient and effective management of the Hub and adequate resourcing. Post location: The position is based at ILRI’s Headquarters in Nairobi, Kenya. 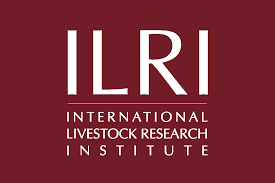 Position within ILRI: The director will be a member of the Senior Leadership Team of the Biosciences Directorate and a member of the Institute Management Committee. How to apply: Applicants should send a cover letter and CV explaining their interest in the position, what they can bring to the job and the names and addresses (including telephone and email) of three referees who are knowledgeable about the candidate’s professional qualifications and work experience to the Director, People and Organizational Development through our recruitment portal http://ilri.simplicant.com/ on or before 21 January 2017. The position title and reference number: D/BecA /11/2016 should be clearly marked on the subject line of the cover letter.